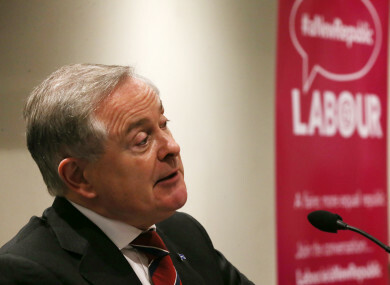 LABOUR LEADER BRENDAN Howlin has reiterated “his strong opposition” to tobacco in response to reports that he was pushing for Big Tobacco representatives to be permitted to meet with Irish government officials. Ireland refrains from meeting with tobacco companies, a practice which is endorsed by the World Health Organisation (WHO). The front page of today’s Sunday Business Post carries a story under the headline: “Labour leader pushes government access for Big Tobacco firms”. The piece reports how representatives of two tobacco companies wanted to meet with government officials to discuss anti-smoking policies. It goes on to say that Howlin wrote to Minister for Finance Pashcal Donohoe to ask if it was “appropriate” for department officials to “blankly refuse” to meet with the industries that it is regulating. In response to the Sunday Business Post report, Howlin reiterated “his strong opposition to tobacco and the cigarette industry, and the damage it wrecks on millions of lives”. Howlin said that he’s opposed tobacco since his time as a Minister in the Department of Health. He called the headline “deeply misleading” and said that “Labour fully supports the strong regulation of tobacco”. The central point I made was that strong and effective regulation may require officials to meet with the industries they are regulating, just as Revenue officials meet them to collect excise and tobacco duty. For example, new EU rules on labelling tobacco shipments down to pallet-level in factories and warehouses may require officials to meet with industrialists to ensure this regulation is correctly applied and enforced. “That is very different from Ministers meeting with tobacco lobbyists,” he said. Email “'Deeply misleading': Howlin clarifies his opposition to Big Tobacco following report”. Feedback on “'Deeply misleading': Howlin clarifies his opposition to Big Tobacco following report”.